The second series of the Scandinavian crime drama following the joint efforts of Danish and Swedish police officers to solve murders that take place along the border of the two countries. 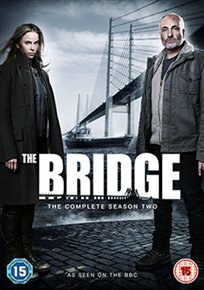 In this series, 13 months since they last worked together, Swedish detective Saga Norén (Sofia Helin) and Danish detective Martin Rohde (Kim Bodnia) pair up again when a ship crashes into the Oresund Bridge. The vessel is empty except for five kidnap victims and when they die from pneumonic plague the case turns into a murder investigation. The first and second series of the Scandinavian crime drama following the joint efforts of Danish and Swedish police officers to solve murders that take place along the border of the two countries.